The Truchard family wine tradition began over a century ago. In 1887, Jean Marie Truchard emigrated from a small town outside of Lyon with his brother Father Anthony Marie Truchard, a Catholic priest. They established a vineyard and winery on a 500 acre plot of land in Southeast Texas. The Truchard winery, founded just outside Houston, did not survive prohibition or the Texas heat. Fortunately for the family, Jean Marie left something much more important: his farming legacy. His grandson Tony was taught at a young age how to cultivate Texas farmland in the same tradition. Looking for escape like most children reared on a rural farm, he attended medical school in Dallas. Tony enrolled as an officer in the army to pay for his medical education. In 1972, Tony and his wife Jo Ann received orders to move to South Korea. He had planned to bring their growing family of five along with him but fate intervened. Jo Ann, who was 8 ½ months pregnant at the time with their fourth child, slipped on a grape while grocery shopping and broke her knee. Given these circumstances, Tony’s commanding officer, reconsidered and stationed them at a base in Herlong, California instead. Upon seeing the vineyards of Napa Valley, Tony used his savings to purchase an abandoned prune orchard in Carneros, a region in the southernmost part of Napa that was mere pastureland at the time (The word “Carneros” is in fact Spanish for sheep or ram, which were the predominant farms in the area). The site looked ideal, but Tony was intrigued as to why no one was planting grapes in this area, considering it was only 10 miles away from established vineyards. The local experts with whom he inquired all had the same response: it was too cool to ripen quality grapes, and, more importantly, the shallow clay hillsides made little ground water available for maintaining a vineyard. In Carneros, the little existing groundwater tended to be salty because of its proximity to the bay. The traditional practice had been to use overhead sprinklers for watering, but Tony decided to use the clay soils to create reservoir, trap rainwater, then use it sparingly to grow grapes. In doing so, he was one of the early adapters of drip irrigation. The diverse soils and cool climate of Carneros made for grapes of extraordinary quality once the grapes received water. On that first 20 acres, he planted Chardonnay, Pinot Noir, Cabernet Sauvignon, Cabernet Franc, Merlot, and Riesling. 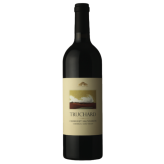 Since 1973, the Truchard estate has grown to 400 acres, of which 280 acres are planted. (Roughly 80% Sustainably Grown, 20% Organically Grown). 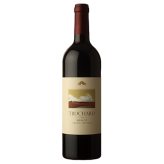 After selling to premier wineries for 15 years, the Truchards began producing their own wines in 1989. To accommodate the winery’s increased production. 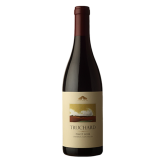 Today, Truchard Vineyards produces Chardonnay, Roussanne, Pinot Noir, Syrah, Merlot, Zinfandel, Cabernet Sauvignon, Cabernet Franc, Tempranillo, Malbec and Petit Verdot all of which are estate-grown.